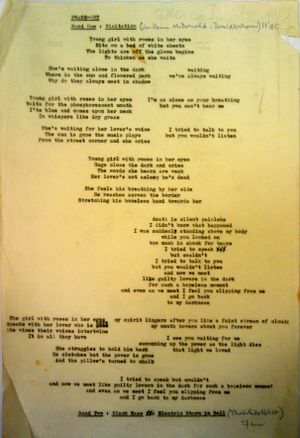 DD165749 is the typewritten cover text for the second side of the album An Electric Storm. It includes the lyrics for The Visitation. --------   ----------   ----------------------      7 min. This page was last modified on 22 July 2014, at 10:08.